In order to perform tasks and jobs at height you need reliable heavy duty platform steps to allow you to work comfortably, making your work more enjoyable and straight forward. 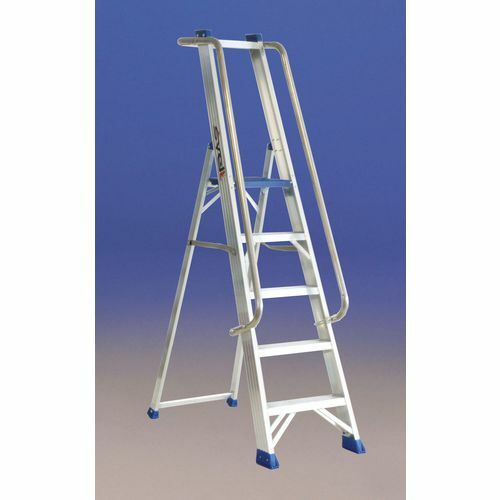 These heavy duty platform steps from Slingsby, come with a handrail for extra security and comfort for the user, giving them a safe and useful area to grip and use to support them when they are going up or down the ladder. 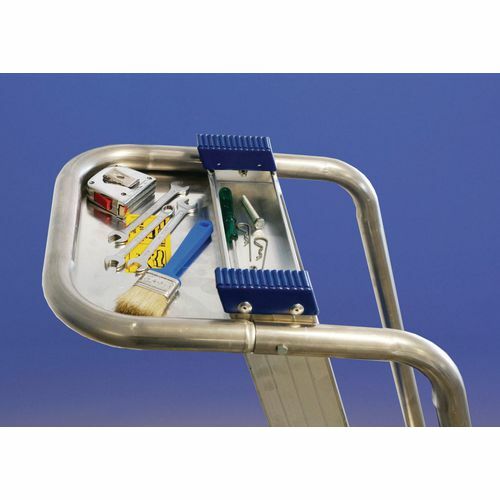 There is a removable aluminium tool tray which is a useful addition; it allows you to have somewhere to store your equipment whilst working instead of wearing a tool belt or having to go up and down the ladder to get your kit. 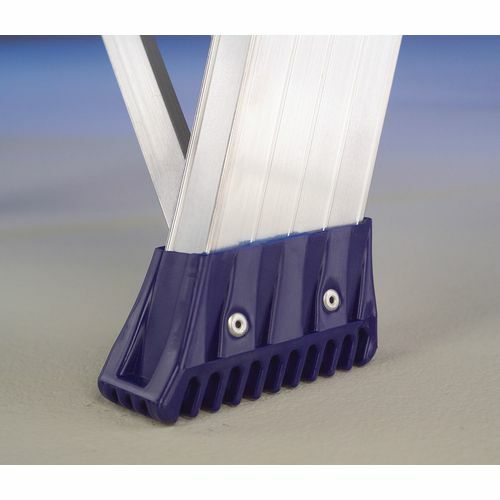 Reinforced non-slip rubber feet give the ladder extra stability on difficult surfaces, with a maximum capacity of 150kg they are strong pieces of equipment to enable you to work with peace of mind. 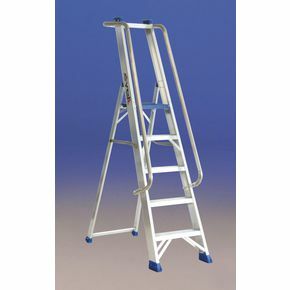 Our ladders are sure to be useful additions to your working day - they are available in six platform heights; 1.16m, 1.39m, 1.61m, 1.85m, 2.3m & 2.77m. They also conform to EN131 and have FREE Delivery.